These holiday apartments are located in a family house on a hill. The apartment CDE085 with a beautiful panoramic view of the sea has three bedrooms and is ideal for larger families. For smaller families is the apartment CDF505 with one bedroom and well equipped kitchen well suited. The apartments CDT735 and CDE256 are simply furnished studio apartments. Steep stairs are leading to the beautiful beaches. The owner has a restaurant in the town center. On the river Cetina rafting tours can be organized. 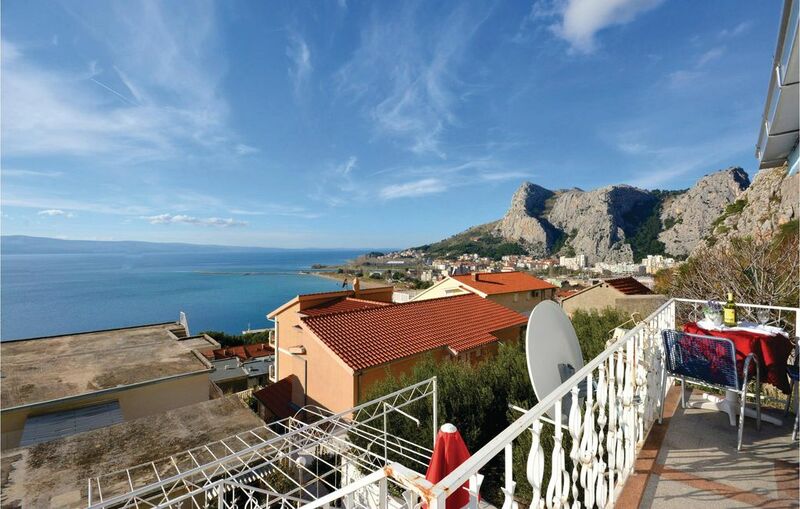 Enjoy the cultural, historical and sports offerings of the town of Omis.